This is a great smelling soap. You can start to smell the soap before you even take it out of the box. The Rejuvenator body and face bar, for dull skin, removes impurities and gently cleanses the skin. The body bar is made from Coconut Milk, White Jasmine, and Vitamin B3. Coconut Milk - High levels of Vitamin C can be found in coconut milk. These levels can help to maintain flexibility of the skin and the skin's elasticity. Coconut Milk is also great for the prevention of wrinkles, sagging skin, and age spots as it is rich in Copper. White Jasmine - Oils from white jasmine can help to keep the skin hydrated, it can help with dry skin. White Jasmine have both antiseptic and anti-bacterial properties. Vitamin B3 - Vitamin B3 otherwise known as Niacinamide, has excellent skin care benefits and also works in more than one way. If you suffer from acne and also post-acne marks (hyperpigmentation), vitamin b3 will help clear your skin up in a beautiful way. It also helps to reduce wrinkles and helps to even up your skin tone. Vitamin b3 has anti-inflammatory properties, so it helps to treat sun damage. ApotheCARE Face And Body Bar is a rejuvenator, and it helps your skin to look and feel younger. Ingredients in the soap are all plant-based. 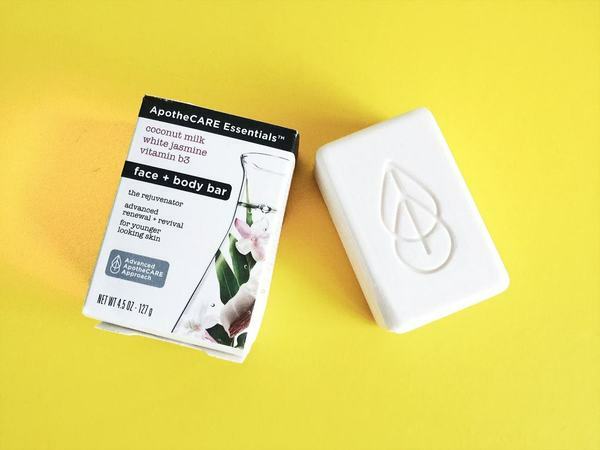 Have you used this body bar from ApotheCARE?